There might be a few little girls in America who don't dream to dance in The Nutcracker. If so, I don't know who they are. But everyone dreams to do something, and a book about one woman's midlife journey to dance in The Nutcracker might just be the thing to crack your dream – whatever it may be – wide open. 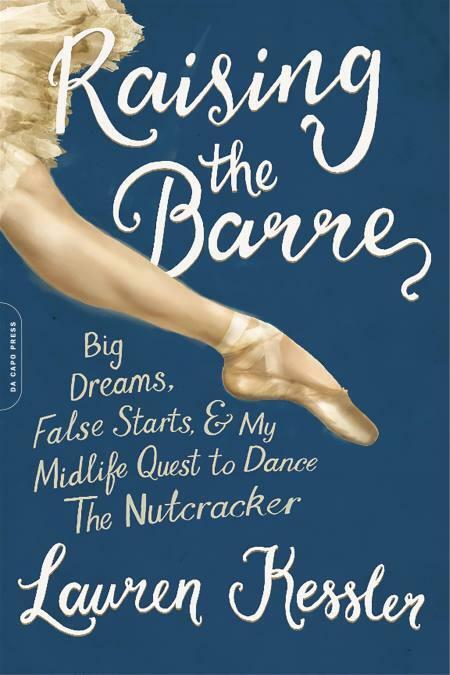 It was more than a childhood dream that motivated Eugene, Oregon-based journalist Lauren Kessler, author of Raising the Barre: Big Dreams, False Starts, and My Midlife Quest to Dance the Nutcracker (Da Capo Press), to return to ballet and perform in midlife – as her narrative constantly reminds us – in a professional production of The Nutcracker. Her motivation also went well beyond the journalist's desire to tell a good story from the inside, embedded in the esoteric ranks of a professional ballet company. Kessler's real motivation for her midlife Nutcracker journey was emotional – to confront the metaphorical ghost of her former ballet teacher André Eglevsky, the Russian-born dancer who called the pubescent Kessler, then an aspiring ballerina, “bottom heavy,” shattering her ballet dreams and making her, for the first time, self-conscious about her body. Fast-forward about 30 years. Armed with a dream, a plan and journalistic cred, Kessler asked Toni Pimble, artistic director of the Eugene Ballet Company, if she could dance in the company’s production of The Nutcracker. Pimble said yes, on the condition that Kessler “relearn the vocabulary of dance” and “take lessons and classes, lots of classes,” as Kessler writes, and become, once again, a dancer. At least for this project. Throughout Raising the Barre, Kessler narrates her own journey into a professional ballet production. She takes us on shopping trips for dancer's duds – tights, leotards, ballet slippers – and reports with surprising candor on her strategies to accentuate her physical assets while concealing her liabilities. In her quest to reclaim a dancer's physical tone, Kessler takes us with her to months of barre classes, pilates and Gyrotonics, where she details her aches and pains and some of the lasting effects of the various types of movement she puts herself through in the name of getting in shape. All of that in preparation for just the EBC company classes – in preparation for the rehearsals of The Nutcracker. 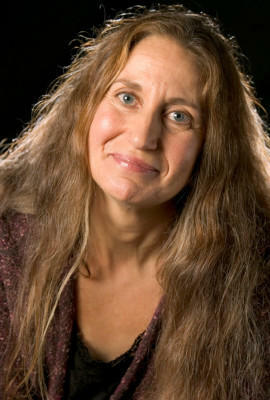 By the time Kessler's first class with EBC arrives, she's already been in touch with some of the company's ballerinas. They take her under their wings, giving her tips on the type of bun in which Pimble expects her ballerinas to tie their hair and taking her on an epic stage-makeup shopping spree. The warm-up time in the ballet studio before each day's class gives Kessler a chance to chat with the EBC dancers, who openly lament their physical imperfections – even as they put themselves through stretches that mere mortals could never achieve. After a few weeks of rehearsing with the company, Kessler learns she has been cast in a named role – as Clara's spinster Aunt Rose. EBC dancers coach her on the footwork and timing of the role's brief dance passages. Kessler undergoes costume fittings and puts herself on a costume-friendly diet. And finally the day arrives. Kessler dances Aunt Rose with the EBC and before the world, and even dances the role on the EBC's extensive Nutcracker tour. Perhaps the best thing about Kessler's book is that it doesn't give us a Hollywood-style pay-out. There is no magic sunset at the end. Eglevsky doesn't come back to life and tell Kessler he was wrong all along, that she really should have been a professional dancer and that he's to blame for her giving up so young and with such great promise. Raising the Barre is not a book about miraculous comebacks and amazing life changes. It is a book about setting a reasonable goal – at an age when most people see possibilities fading away– and taking the steps to achieve it. Kessler doesn't dance the role of the Sugar Plum Fairy (Pimble nixed that at the get-go), and she doesn't say her own Aunt Rose interpretation was wonderful. She simply says she danced the role – something that, many years ago, she had assumed she would never do. Raising the Barre is part personal memoir, part romp through the history of the world's most popular ballet and part reminder of the unforgiving world of professional ballet. Raising the Barre will take you on some enjoyable adventures in these esoteric lands. If you’ve never seen The Nutcracker before, Raising the Barre might inspire you to dive into Nutcrakermania this holiday season, splurge on tickets and make an evening of it. But if you really want to give yourself a gift, read Raising the Barre and give yourself permission to do something that you once thought impossible. "Dance as though no one is watching" is a familiar encouragement to lower your inhibitions and let the music move you. But what if you can't even take two steps without tumbling to the ground? Such was the case for Sarah Hansen, who, because of a progressive neurological disease, could barely put one foot in front of the other without support.